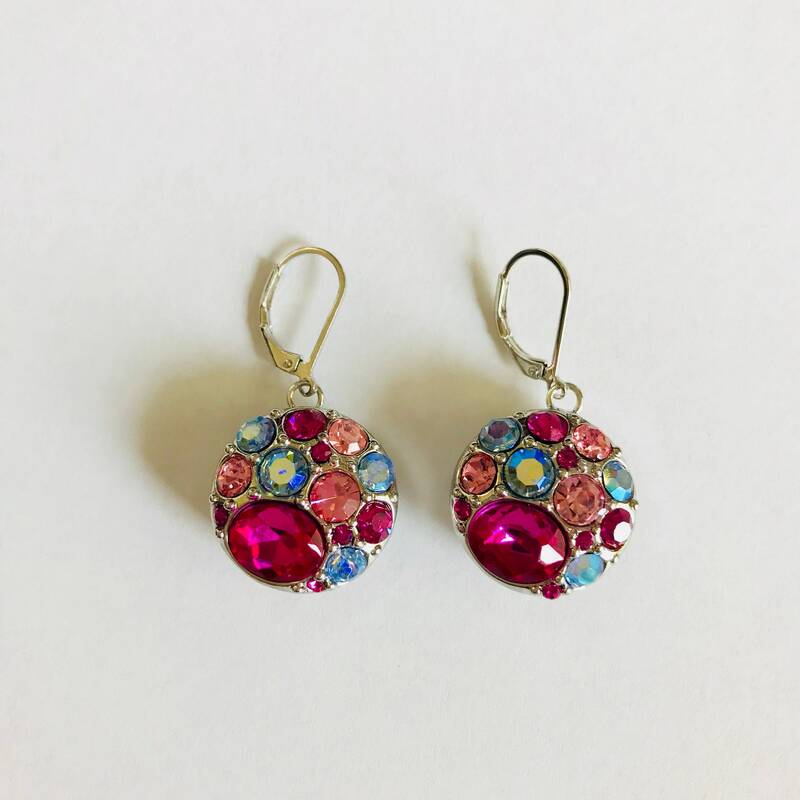 Stunning - stop in your tracks - Pink Rhinestone Snap French Hook Earrings - Snaps can be changed into and out of earrings. Earrings measure about 1.5" long and about 1" wide. Snaps can be taken in and out of earring bases. 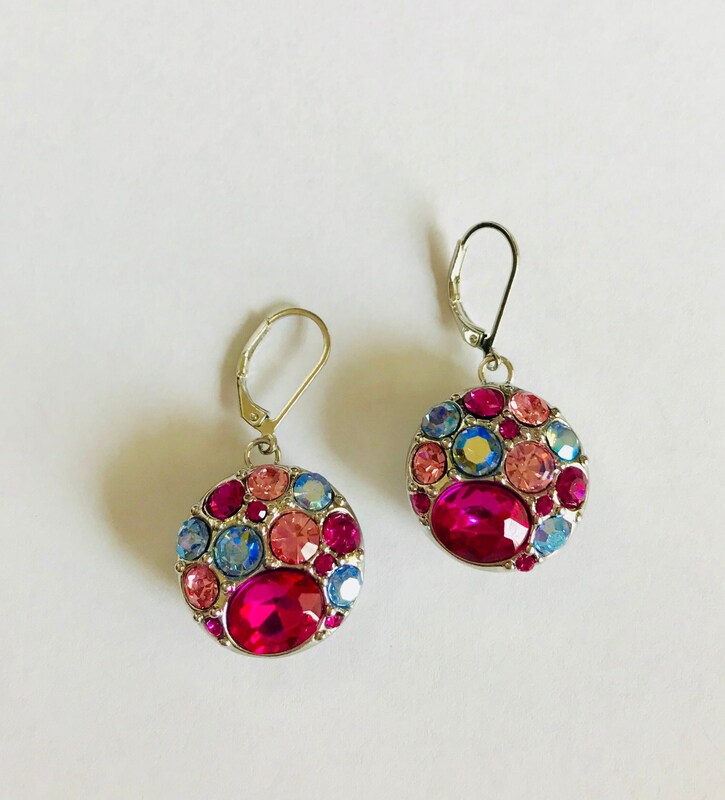 These earrings feature two high-quality 18mm snaps with hot pink, soft pink and light blue accent stones. Earrings are ready to wear!